In your new course shell, click on the Yellowdig link. 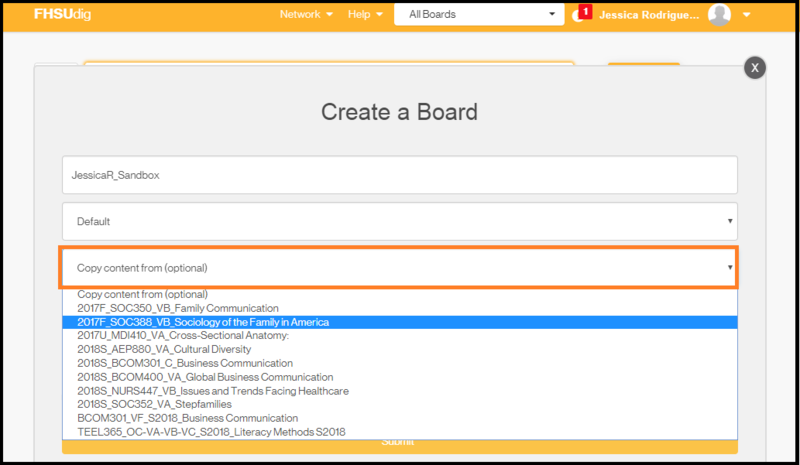 Once you are in Yellowdig, “Create a Board” window will appear on the page. The third box down, click on the drop-down arrow where it says “Copy content from”. You will choose which board you will like to copy from. 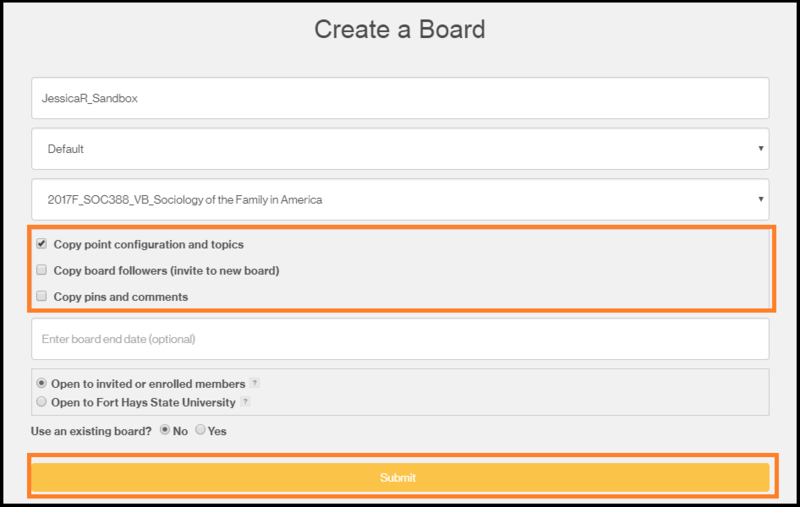 You will be given options to copy point configuration, board followers, or pins and comments. Click on copy point configuration and topics. Click submit. Once the board has been created, you will receive a successful message.